Our Meat Science & Animal Biologics program is excited for the addition of this “Animal Biologics” focus to our program. We are defining biologics as molecules or tissues from livestock and poultry that can contribute to new medicines and therapies for animal and human health. 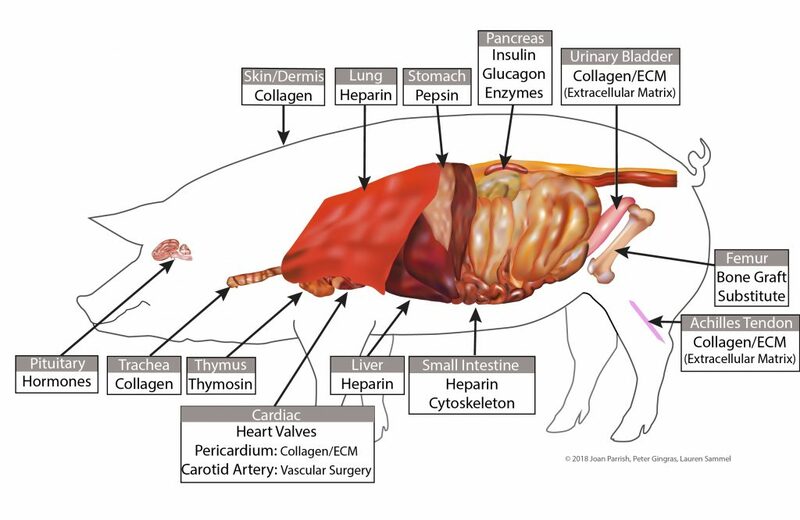 This animal diagram depicts many of the known uses for porcine biologics. We look forward to exploring additional uses to add value to livestock and poultry in addition to the meat we consume. 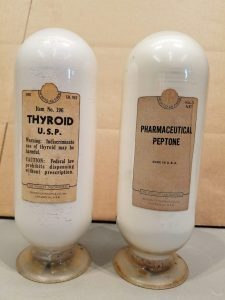 These bottles were part of a display in the Meat Science & Muscle Biology Lab classroom for decades. We believe they date back to the 1950’s. 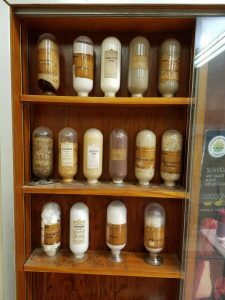 We believe Bob Bray referenced this display to get students thinking about the different uses for these animal derivatives.